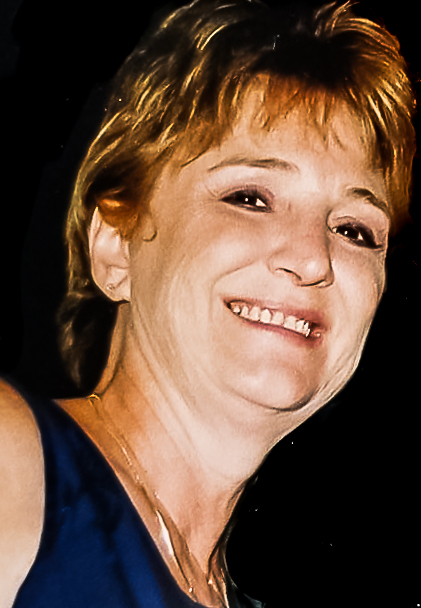 Funeral Services celebrating the life of Penny R. Brown, 66, of New Port Richey, FL and formerly Davenport, IA, will be 11am Wednesday, April 10, 2019 at the Halligan-McCabe-De Vries Funeral Home, 614 Main St, Davenport, IA. Burial will be in Fairmount Cemetery, Davenport. Visitation will be 4-7pm Tuesday at the funeral home. Memorials may be donated to the research of Idiopathic Pulmonary Disease. Mrs. Brown passed away Tuesday, April 2, 2019 at Trinity Hospital, New Port Richey. Penny Rae Gilmore was born September 22, 1952 in Davenport, the daughter of Robert and Donna (Housley) Gilmore. She was united in marriage to the love of her life, Philip Brown on October 16, 1971. Prior to her retirement she had worked at ALCOA. Things she enjoyed the most were spending time with family, floating down the river, fishing, and Jimmy Buffet concerts. Survivors include her husband Phillip Brown, New Port Richie; children Travis Brown, New Port Richie, Missy Brown New Port Richie; grandchildren Skyler Brown, Samantha Brown, Josh Brown, Jackson Brown, Michael Arcarola, Brian Arcarola, and Adriana Arcarola; siblings: Roxanne Isham, Denise & Greg Stoffer, Kim & Tom Campbell, Rob & Cindy Gilmore, Mark & Karen Gilmore, Ronnie & Kathleen Dankert, Mike & Jo Brown, Tim & Patty Brown, Jim & Patty Brown, Chrissy Brown, Patricia Brown, Dan Brown, Carol Brown, and Deb Brown; many beloved nieces, nephews, cousins, great nieces, great nephews; aunts and uncles Velma Fall, Jim & Carol Anne Housley. She was preceded in death by her father Robert Gilmore, mother Donna Timmsen, father-in-law Joseph Thomas Brown, mother-in-law Arline Katherine Brown, brother and sister-in-law Bill & Nancy Brown, brother and sister-in-law Tom & Jeannine Brown, brother-in-law Terry Brown, brother-in-law Jim Isham, and nephews: Jason Brown, Jeremy Brown, and Brady Gilmore.